Can you pick a Brown Treecreeper from a Whitethroated Treecreeper? Do you know what a Spotted Pardalote’s call sounds like? Want to know clues to finding the rare Regent Honeyeater? Ever wanted to record what birds are in your area? Come and join a workshop on woodland bird identification and survey methods! 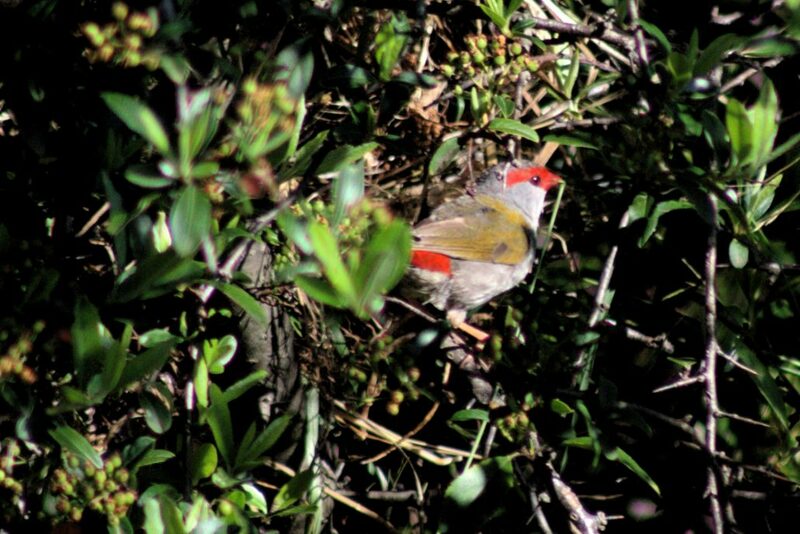 Central Tablelands LLS have invited BirdLife Australia’s Woodland Birds for Biodiversity project coordinator, Mick Roderick, to run a fun workshop focusing on many facets of woodland bird identification and monitoring in Mudgee on Tuesday 3 October. “The diversity of birds within Woodland areas is an excellent indication of that remnant’s health. To be able to pick different species using sight and sound is a valuable skill for any land manager.” said Bruce Christie, Central Tablelands LLS Senior Land Services Officer. “Mick Roderick from Birdlife is a valuable source of information and we are very lucky to have him available for this day.” he continued. 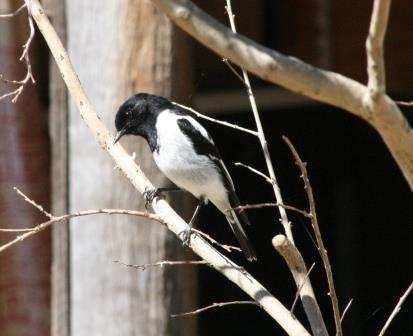 Topics covered on the day will include: temperate woodlands and why the birds that rely on them are so threatened; woodland bird identification basics; importance of call recognition; separating similar species by sight and sound; performing bird surveys for woodland birds; recording birds using an online portal or using an app on your phone; and targeting rare birds such as Regent Honeyeaters. “The day will be a combination of presentations and a visit to a local site to develop our bird watching skills and practice some of the topics covered in the talk.” said Mr Christie. “We will also record a bird survey in real-time on a smartphone using the BirdLife Australia Birdata app.” he continued. The workshop will be held on Tuesday 3 October from 8 to 11:30am at the Australian Rural Education Centre (AREC). Tea/coffee will be available on arrival and morning tea will be provided. Please bring binoculars, notebook and pen, sunscreen, warm clothes, hat, enclosed walking shoes, drinking water and a bird field guide if you have one. The workshop is free to attend but numbers are strictly limited, please register by Monday 25 September. For further details or to register contact Bruce Christie on 6378 1712 or by email: bruce.j.christie@lls.nsw.gov.au. The biggest event on Watershed Landcare’s calendar is over for another year. The Green Day environmental expo for year 5 and 6 students from schools across our region was held at Mudgee Showground last Thursday. 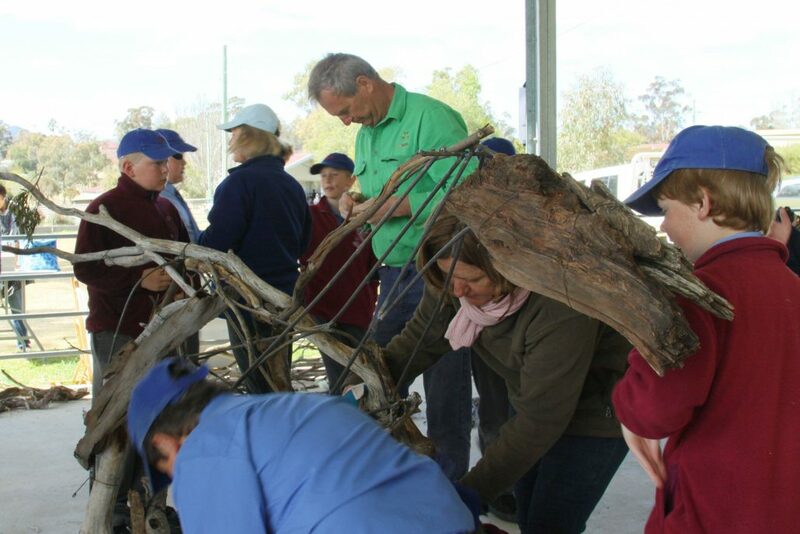 “Everything ran very smoothly, which is no mean feat with coordinating nearly 600 kids from 13 schools and 20 workshops and presenters.” said Watershed Landcare Chairman, Craig Dennis. The theme of this year’s Green Day was GoMAD – go make a difference – and the event coincided with Threatened Species Day and Outdoor Education Day. “The students got plenty of fresh air and learned about biodiversity and what they can do in their home and school environments to help protect our native plants and animals.” said Mr Dennis. Other workshops focused on the themes of reducing waste, water and energy consumption with presenters from Central Tablelands Local Land Services, Mid-Western Regional Council, Red Hill Environmental Education Centre, NetWaste, Niche Environment and Heritage, Barnson Pty Ltd, Royal Agricultural Society, Crave Natural and Rosby Sculptures in the Garden. Students making horse sculptures at Green Day which will be exhibited at Rosby’s Sculptures in the Garden in October. “The students were encouraged to take away lessons learned on the day by making pledges of what they can do at home or school to improve the environment and live more sustainably and to share the message with their friends and families.” said Mr Dennis. Our keynote speaker, Ruben Meerman, delighted students and teachers alike with his spectacular science demonstrations. With the aid of liquid nitrogen, lasers and ordinary household items like food colouring and balloons, Ruben demonstrated simple scientific concepts like evaporation and condensation which helped to illustrate more complex ideas like water circulation in the atmosphere and how it affects climate. “Green Day would not be possible without the generous support of our sponsors, because of them it continues to be a fully subsidised event and it means every child can attend.” said Mr Dennis. “We would also like to thank all our volunteers for their hard work behind the scenes to make the event such a success; Mudgee High School students who acted as guides, the Peabody crew who prepared the kids lunches, our members and, last but not least, Viv Howard our Green Day Coordinator for bringing it all together.” he continued. Watershed Landcare would like to acknowledge the support of Mid-Western Regional Council, Office of Environment and Heritage, Central Tablelands Local Land Services, Peabody Energy, Moolarben Coal, Red Hill Environmental Education Centre and Niche Environment and Heritage. We all know that trees improve air and water quality, capture and store carbon, provide shade, increase biodiversity, reduce winter temperature variances, reduce average heat wave temperatures and help to minimise stormwater damage. But scientists and economists are just beginning to appreciate the multiple benefits and economic value that street trees provide in urban environments. The value returned through improved amenity, reduced electricity consumption, infrastructure durability improvements due to greater shading, ecosystem services, increased property values, reduced heat stress affecting the community, impacts on health (especially cardiovascular health and obesity as tree lined streets encourage an outdoor lifestyle) is starting to be quantified and included in urban planning decisions. An increase in canopy cover from 20% to 28% reduces air temperature by 4ºC and road and pavement temperatures by up to 14ºC in heat waves. All these benefits and the value returned increase with increasing canopy cover. This means that when mature, trees have crowns large enough to interact with each other. So what works best? The bigger the tree the better. A mix of deciduous and evergreen species is best and the more trees the better – regularly and tightly spaced along the street. A recent report produced by infrastructure firm AECOM, Green Infrastructure, aimed to quantify the financial, social and environmental value of street trees in the Australian context. The report recognised that while residents benefit most from the advantages provided by street trees, most of the costs and risks are borne by local governments and utility companies. Even with that taken into account, the report found that the net benefits significantly outweigh the underlying costs and a lot of these challenges can be overcome by selecting appropriate species, strategic planting and planning for ‘green infrastructure’ when designing new developments. And we’re voting with our money – AECOM found that home buyers are prepared to pay a premium to live in green, leafy streets. Across 3 suburbs in the Greater Sydney area analysed for the report, buyers were prepared to pay an average of $50k more for a 10% increase in canopy cover in the street. So whether we do it consciously or not we are certainly recognising that trees make our urban environments more livable. 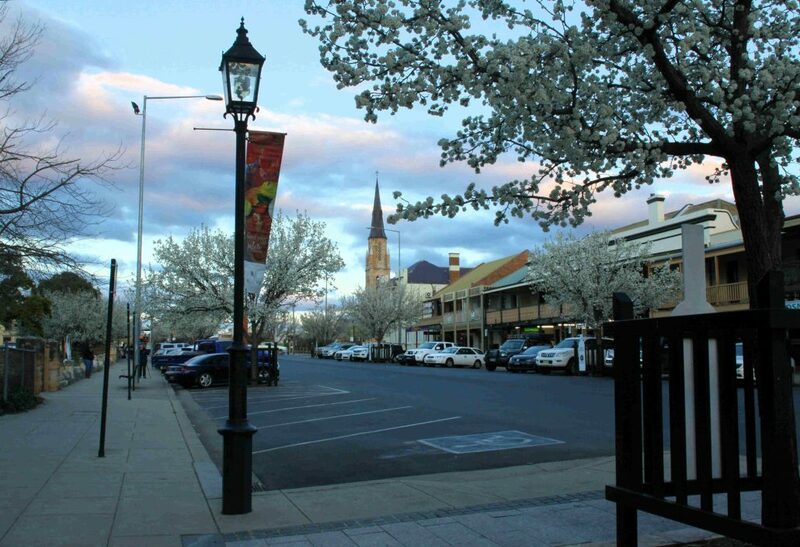 Did you know that Mid-Western Council have a Street Tree Planting Policy and Council will supply and plant 2 street trees per urban block with a standard sized frontage? Just drop in to Council and submit a works request or contact Jenny Neely for more information on 6378 2745. September 4-10 marks Landcare Week. Landcare Week is an annual celebration encouraging everyone, wherever they live and whatever they do, to get involved in the Landcare community and help protect and restore our country’s valuable natural resources. Landcare became a national initiative in 1989 and has since grown into the largest environmental and land management movement in the country. The Landcare movement has come a long way since it’s inception. From it’s humble beginnings in the 1980s as a loose collaboration between farmers and environmentalists to plant trees, it now boasts over 5,000 coastcare, bushcare and other landcare groups, all dedicated to managing environmental issues in local communities across Australia from coast to country. Watershed Landcare is no exception. The group has been active in our region for 21 years, working with the community to encourage positive change and progress from a people, prosperity and environmental point of view. Landcare is a grassroots movement and we work together with our community to support an integrated, productive and sustainable approach to land management. Our activities, field days, workshops, seminars and projects focus on topics of importance to our members. The Watershed Landcare Management Committee recently met with representatives from Mid-Western Regional Council, Central Tablelands Local Land Services and members of our community to plan it’s strategy for the next 12-18 months. The day was very successful with many great ideas flowing. Watershed Landcare’s priorities will continue to focus on projects and activities that address sustainable agriculture, improving land and water management and, protecting threatened and vulnerable species and communities. Engaging our urban community and waste management were also identified as important, new areas of attention.